Rabbi Ari Cartun will retire after 21 years at Stanford Hillel – J. When Rabbi Ari Cartun first signed on as executive director of Stanford University's Hillel 21 years ago, the organization had one part-time staff member and an annual budget of $27,000. Today, as Cartun prepares to retire on June 30, Hillel has an administrative staff of five, numerous student interns and an annual budget nearing $500,000. 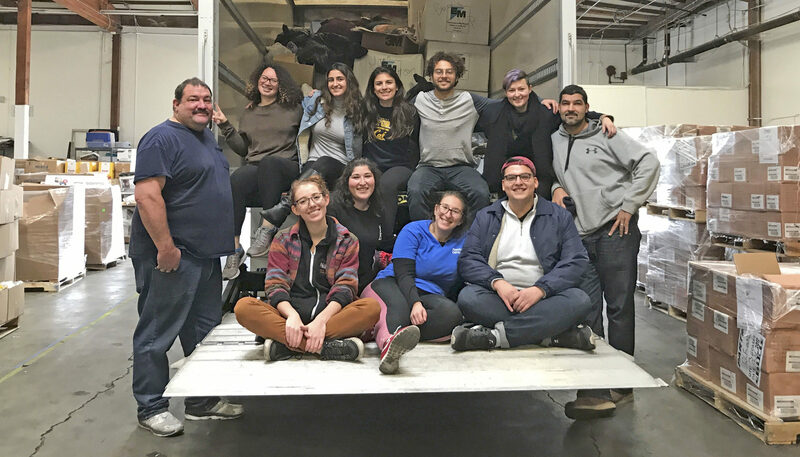 Based on those factors, as well as Stanford Hillel's range of services and extensive library holdings, the organization now ranks among the largest Hillel programs in the country. "I like to build things and I feel I've built something solid here," says the 46-year-old Cartun, who will be honored at a Hillel Shabbat dinner Friday, May 31. "Now I want to move on to something new." Though Cartun hesitates to reveal many specific details about his future plans, he says he will lecture throughout the community, lead Jewish educational projects and complete a novel about Jerusalem. He also looks forward to spending more time with his wife, Joy, who is a lawyer, and the couple's four daughters: 10-year-old Daniella, 6-year-old Ilana and 4-year-old twins Tamar and Rimona. Despite his eagerness to tackle new projects, Cartun admits that his decision to leave Hillel after two decades was "excruciating." "It's an honor and privilege to work with the students," he says. "Anyone who has ever been to my office knows that it just hums and buzzes with wonderful people all day long. It's very exciting." If the decision to leave Hillel was hard for Cartun, it's been equally difficult for the many students who have grown attached to the bearded strawberry-blond rabbi. "He's like a pillar here at Hillel," says senior Tamara Levadi, co-chair of the Stanford Student Jewish Appeal. "I didn't really ever expect him to leave." A St. Louis native and a graduate of the Hebrew Union College-Jewish Institute of Religion, Cartun joined Stanford Hillel at age 25. Though he had previously served as a rabbinic intern at a synagogue in Washington, D.C., and worked as an assistant regional director for B'nai B'rith Youth, the Hillel position was Cartun's first job as an ordained rabbi. Over the years, Cartun has earned a reputation as an innovative risk-taker, often opting for colorful visibility when it comes to promoting Hillel activities and Jewish landmarks. On one Israel Independence Day, for example, Hillel brought in a camel from Marine World, saddled an Israeli flag and the chair of the Israel Action Committee on the animal's back and paraded it around campus. On Simchat Torah, students regularly dance around campus with the Torah, starting at the Hillel building and soft-shoeing their way through the student union, bookstore and libraries. And in the days when Jews in the former Soviet Union were not permitted to emigrate, Stanford students chained themselves to structures around campus as a means of protest. "Hillel does a lot of overt, open, very high-profile actions," Cartun says. "I like to make it possible for Jewish students to hold their heads up high and feel a normal part of a multifaceted campus society." When he first took up this approach, it was a brand-new concept on the Stanford campus, where — until about 1959 when the Hillel chapter was founded — the school's Jewish students comprised "really an assimilated community," Cartun says. "They did not want to stand out as Jews." But Cartun's flare for visibility does not distract from his quieter everyday activities. He leads weekly beginning Hebrew classes at Hillel. And every Thursday at lunchtime, he holds Torah study sessions that usually draw some 15-20 participants. "When you watch someone like Ari get excited about the material he presents, it translates itself onto you," says Levadi, who is a regular at the Torah study sessions. "He's provided a lot of us with tools to be leaders in the Jewish community and to pass religious knowledge to others." Indeed, Cartun reports with pride, a number of his former Hillelniks have gone on to become rabbis, cantors, synagogue presidents and Jewish professionals. "I've maintained contact with most of them," he says. "It's a wonderful network of friends." The search for Cartun's successor will be conducted by the national Hillel Foundation office, according to Hillel board vice president Michael Cowan; final selection will be made by the local Hillel board. But regardless of who follows him, it is clear Cartun will be deeply missed.